Today, Active Neighbourhoods Canada Network (ANC), a partnership between the Montréal Urban Ecology Centre (MUEC), Sustainable Calgary (SC) and The Centre for Active Transportation (TCAT), is launching its bilingual web platform urbanismeparticipatif.ca/participatoryplanning.ca. This platform is launched at a time when building healthy cities has become a national conversation. “The evidence is clear that how we build our cities affects our health. We are helping communities across the country to design active and healthy cities,” states Nancy Smith Lea, TCAT Director. Smith Lea’s remarks are echoed in the recent Report on the State of Public Health in Canada 2017. 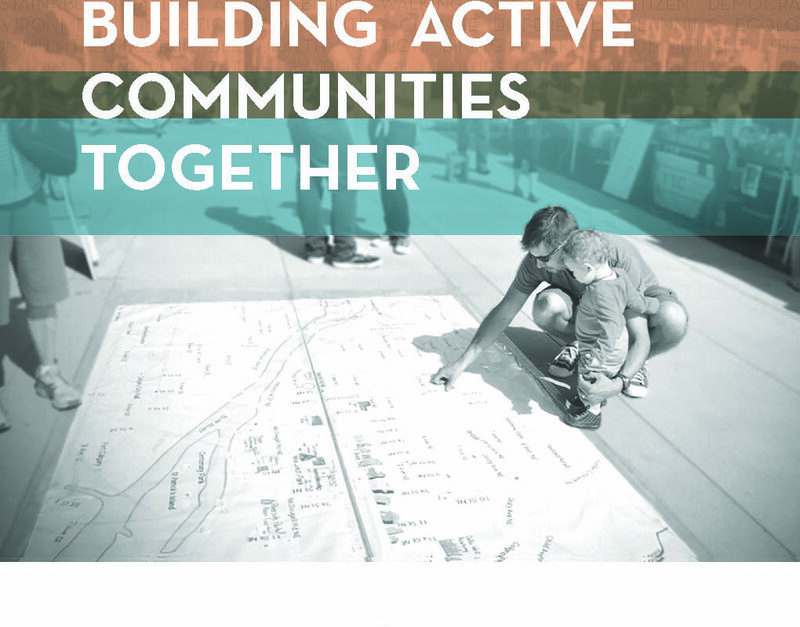 In this report, Dr. Theresa Tam, Canada’s Chief Public Health Officer, acknowledges ANC for its role in co-designing healthy Canadian communities. Date: Thursday February 8: 6:30-8:00 p.m. Description: Panel discussion and course launch info session. Toronto Star columnist and Spacing Magazine co-founder Shawn Micallef, Sabina Ali of the Thorncliffe Park Women’s Committee, and TCAT Director Nancy Smith Lea will share their diverse perspectives on the topic of Co-Designing the Active City. Description: TCAT’s Car Martin & Mikey Bennington will teach this course that explores participatory design and community engagement practices that contribute to the built environment in terms of health equity and provide the basis for planning streets and public spaces. Case studies will be used to identify challenges and opportunities found in designing for pedestrians and cyclists across a range of environments. The course is designed for built environment professionals and students across a range of disciplines. The Montréal Urban Ecology Centre (MUEC) is a non-profit organization that proposes practices and policies to create ecological, democratic and healthy cities. For over 20 years, the MUEC has helped thousands of citizens, organizations and decision-makers take an active part in the urban planning of their neighbourhoods and decision-making around urban issues. This project was made possible by financial support from the Public Health Agency of Canada (PHAC). The opinions expressed herein do not necessarily reflect the official position of PHAC.